fin|daily, a product of Financial Investment News, provides you with the most extensive and timely coverage of the defined benefit space. 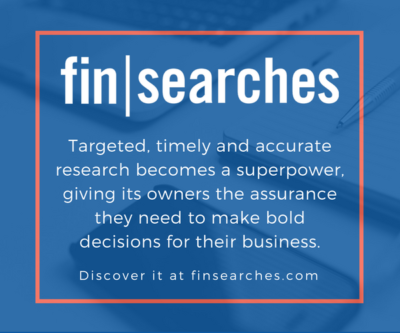 fin|daily is currently the leading provider of manager search leads, breaking news and people moves in the marketplace - giving you all the news you need, in one place. Focusing on new and potential manager searches and the hiring and firing of managers by corporate, union and public pension plans, fin|daily gets you the information you need, when you need it. fin|daily is distributed every afternoon between 4:30 and 5:00 p.m. EST directly to your inbox. A subscription to fin|daily costs just $699. To sign up for a free, 4-week trial click here. Once you sign up you will receive an email with login information to the website where you can search by asset class or keyword - giving you the opportunity to compare us directly with your current provider. Ensure you aren't missing business leads that your competitors are seeing - sign up today for a free trial.